Join us on August 18, 2018 in Downtown Naperville, Illinois. Pub Crawl Registration Fee is $20 and is 100% tax deductible. Additional donations are appreciated and a tax receipt will be provided. Registrations and donations can be made on this site (most efficient) or via check or cash. Checks should be made payable to "ACPMP" or Appendix Cancer/Pseudomyxoma Peritonei Research Foundation. Register early - capacity is limited to 100 at most of the venues! *All participants attending will be required to sign a waiver for participation and that can be done when you register on-line. TEAM KEITH is family and friends coming together in honor and in memory of Keith Surges and others who support us. The quality and extension of life that Keith received by having the only known curative treatment(cytoreduction and HIPEC) for appendix cancer/pseuodomyxoma peritonei by Dr. George Salti, [Edward Cancer Center in Naperville] has empowered us along with Keith’s own wishes that we keep going to fight this beast. To this end, we are having a pub crawl to bring awareness of Appendix Cancer and Pseudomyxoma Peritonei, a rare and often misdiagnosed disease. All proceeds will go to the Appendix Cancer / Pseudomyxoma Peritonei Research Foundation (ACPMP). The ACPMP has provided over ONE MILLION dollars toward credible research for this disease and another $100,000 will be awarded by way of grants later this year! Visit ACPMP Grants Awarded. 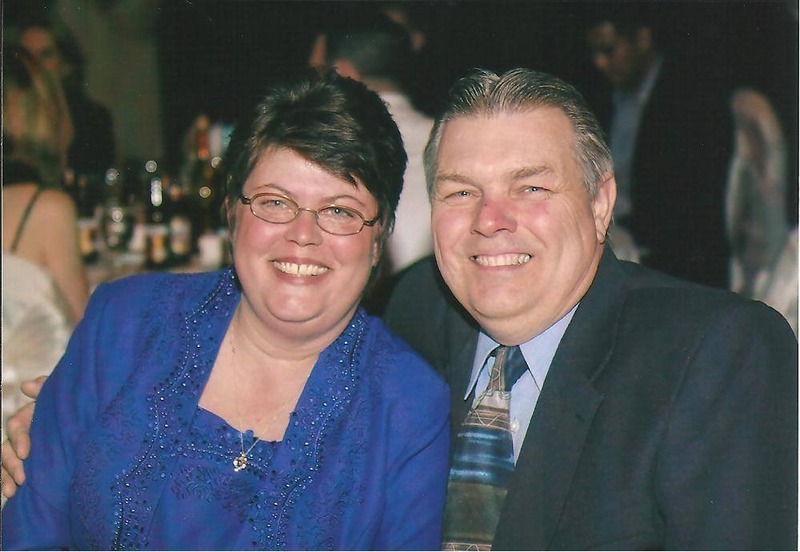 Keith’s wife, Therese, is a proud volunteer Board Member for this organization and believes that the only way to improve outcomes for patients is by getting the proper treatment at the on-set of diagnosis. Education and awareness along with research will accomplish this. Donations have allowed the ACPMP to sponsor educational seminars across the country and across the globe. These sponsorships, research grants and other grants aim to provide for new doctor education, in keeping with the Foundation's awareness and education responsibilities. TEAM KEITH has been very successful with our past events and all attendees will tell you it is a great time. Please register early and join us! We realize it is impossible for everyone to be here in person. Please consider registering as a "Virtual Crawler." Registering and donating through this website is simple, fast and totally secure. It is also the most efficient way to support our fundraising efforts. Tax receipt will be provided. Many thanks for your support -- please share this event with your family and friends! Chris Ybarra, Hand crafted and designed wall vase sconce - (set of 2). Art with Heart by Kimberly, Framed Rock Art created specifically for event. Karen Jackson - KAJ Designs, Amber bead teething necklace created specifically for event. Jeff Drenth - Bears Cooler, 12 pack of Stella Artois with 6 glasses, Cabernet Sauvignon, Chardonnay, Vodka with Cranberry or pink lemonade, Spiced rum, coke, Gin and Tonic. Tasting Devine - Two bottles of wine, plus a certificate for a wine tasting for up to six. Penrose Brewery - Brewery tour for two and 1 12-ounce pour for the tour. Keith lost his battle with appendix cancer / peritoneal carcinomatosis (pseudomyxoma peritonei) just 49 months after diagnosis. We miss him more with each day that passes but believe that his spirit lives within us. 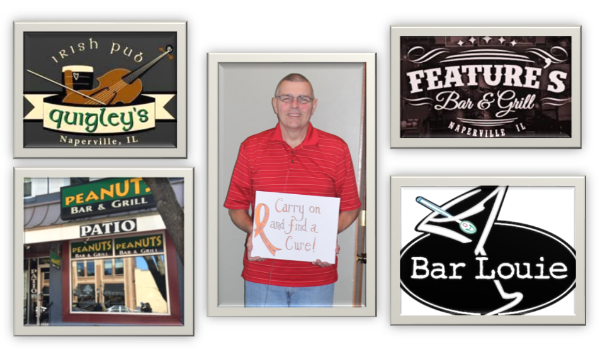 In his memory, we will continue to work toward helping others with this disease. Thank you for believing in our goal, honoring Keith's wishes to "Carry On & Find a Cure" and for always remembering Keith as the incredible, selfless human being that he was. 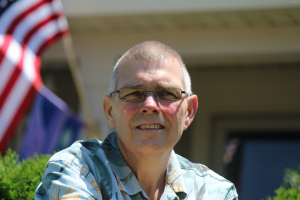 Keith provided so many of us with valuable lessons during his four years of treatment. The most important lesson is that we must never give up on finding better treatment options and always believe that one day, we will find a cure. While he will not be living here on earth to witness this, there are so many more people being diagnosed every single day with this disease. Please join us, in Keith's memory, to support these efforts. Please select your registration level below. Additional donations can be added during check out. You will be able to add additional family and friends during registration.